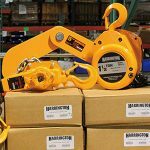 Premium Quality Lifting Equipment & Products | Holloway Houston, Inc.
At Holloway Houston Inc. our mission is to build a solid foundation of customer satisfaction and loyalty, based on honesty, integrity, and a total commitment to serving the needs of our customers. The products we sell are chosen from the world’s leading manufacturers to assure our customers that anything they receive from HHI will meet their expectations for safety, reliability, and performance. 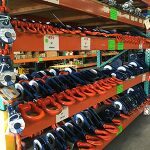 The use of slings is widespread in lifting and rigging industries and we offer slings that are versatile, have proven strength, and are flexible enough to meet the requirements of different lifting applications across industries. 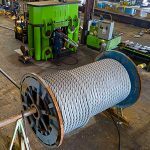 Our range of slings includes wire rope slings, alloy chain slings and synthetic slings. 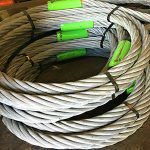 Holloway Houston Inc. offers its clients the option of choosing from a vast inventory of wire ropes including but not limited to general performance ropes, winch lines, mooring lines, and rotary lines. 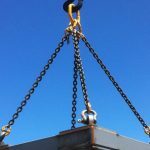 We offer a whole range of chains and accessories including Grade 30 Proof Coil Chain, Grade 40 High Test Chain, Grade 70 Transport Chain, Grade 80 Alloy Chain and Grade 100 Alloy Chain. If you are looking for Crosby Fittings, we are “World’s Large Crosby Distributor” since 1989 and we supply a whole line of quality fittings for a range of requirements. Quality fittings, attachments and accessories that fit any need and demand are our forte. We only supply high quality products and only source products from the leading manufacturers. 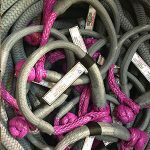 We specialize in fabricating synthetic ropes of all sizes that can be used in industries like shipping, aviation etc.